One of the primary differences between Islam and Christianity has to do with the basic view of the nature of God. Islam teaches total surrender to a god who demands submission. There is no invitation to enter into a relationship, freely, nor is there room for an individual to choose, or not choose to love his Creator, for the god of the Muslims is far above his creation, and there is no real possibility to have a personal relationship with this god. By contrast, the God of Christianity is one Who invites us into a relationship that is personal, and like all relationships based on love, we are free to choose, or not, to commune with a God Who is, by His very nature, in relationship. Our God is worshiped in Trinity, and this image of the Trinity is the basis of the image of the Church, which is one of mutual love. 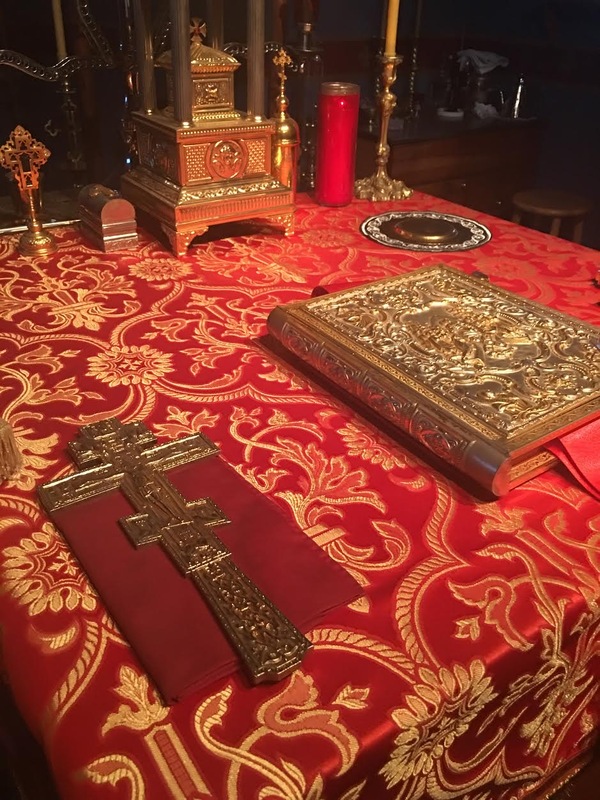 The God we worship in Trinity, Father, Son and Holy Spirit, is One God, and our response to the invitation from this One God, is to enter into communion with our nous, soul, and body (our own triune nature). There is no force behind this invitation, for we are free to choose, or not, just as any relationship based on love requires both parties to be free to choose, or not. Our obedience is a religious act that must be free, and it must be based on love. Our Lord Jesus Christ taught using parables, precisely because he was inviting us to freely choose to follow him, and to keep the commandments. He showed us the way to eternal life, not by giving commands as the Son of God, but as a loving teacher Whose wisdom was imparted in a way that left the choice up to us. His Apostle Peter demonstrated this same style of teaching when he told his fellow disciples that he was going fishing. Peter didn’t say they were going fishing, but only that he was going fishing, thus leaving his friends with a choice. They were free to go fishing, or not. Muhammad, by contrast, gave his followers specific laws that must be followed, including total submission to god, and should they ever renounce Islam, they would face a penalty of death. This lack of freedom in the teachings of Muhammad has its roots in his failure to teach about the notion of person. In Christ we have the image of the Pantocrator, a fresco that is traditionally the primary focus in the dome of an Orthodox temple. The Pantocrator is He Who holds all things in His hands, through His love and forbearance. This God of Christianity does not punish, He educates, just as Christ educated his disciples through the use of parables. Molchensk (1405), named the “Healer” (18th C) and Starorussk(returned in 1888) Icons of the Mother of God.